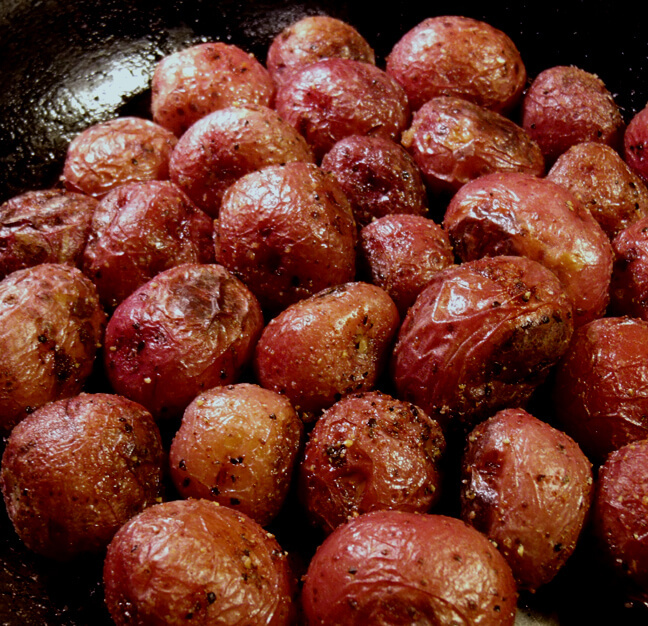 Toss lightly parboiled new potatoes–dry them first!–in oil with black pepper, minced garlic and salt. Bake in a medium hot oven (350/75) in a heavy iron container (I use a wok) tossing occasionally until tender through. These spuds don’t keep well at all, but they’re hard to beat for serving with grilled meats, particularly chicken with sage or rosemary. Keep your side dishes simple so your main will shine.